We are exploring a project with Providence Sacred Heart that would be creating an oncology triage center within the hospital. If implemented, oncology patients would no longer need to go to the emergency room! If patients experience neutropenic fever, pain, excessive nausea or other side effects brought on by chemotherapy, they can skip the long wait in the ER and go to a triage center being planned for the oncology floor of Providence Sacred Heart. This project could take a couple years to see through, as it will require a remodel to create a 3 bed triage center, as well as the coordination of all the logistics to offer quality care for patients. The Cancer Can't board has formed a committee that has been working with the Providence Foundation on this project for the last 6 months. We are in the planning stage but things are looking very positive that this will be something that we can provide our community. The Cancer Can't board is also working on a transportation project for oncology patients. Often patients do not have a caregiver that is able to get them to and from all of their appointments associated with cancer treatment. Currently, treatment centers are attempting to work with over 5 transportation services in the Spokane area. Our goal is not to reinvent the wheel, but to offer assistance with a current problem. We are working to hire a social worker that would become the transportation coordinator and would handle the coordination of rides using existing programs and services. This would free up so much time for the treatment centers to allow them to focus on other ways to assist patients and have peace of mind that the patients are getting to their appointments. We are hoping this year we will be able to launch a series of classes provided each month that will focus on patient education. Upon diagnosis there are tons of decisions patients face with almost no experience or knowledge of what the path hold before them. These classes will focus on insurance options, Medicare/Medicaid, how to challenge insurance rulings, Social Security, resources available in our community, how to find financial assistance, and more. 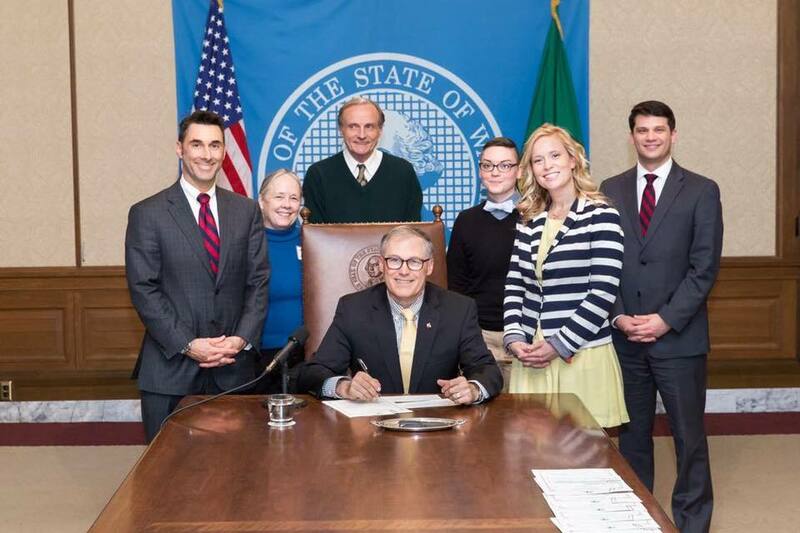 We have passed both House Bill 2468 and House Bill 1765 to effectively create a donation medication program in the state of Washington. Because oncology drugs are on average $10,000 per month, we felt tackling the medication needs of patients was a huge accomplishment toward helping their daily lives. This program is a work in progress. Since passing these laws, Cancer Can't has launched a second non profit called The Charitable Pharmacy Group. The non profit will run and create the donation drug program in our state. This program will allow patients to donate back unused and unexpired medications to participating pharmacies throughout the state. If there is a patient who cannot afford their medication, and we have it available through donation, they can access that medication free of charge. We launched THE NEXT, our sponsor based support program. We are working with representative Kevin Parker, along with physicians and pharmacists in our community to try to help patients have better access to medication. On January 29th, 2016 the house committee passed our bill "The Cancer Can't Charitable Pharmacy Act" and will soon move on to the house floor. We are hopeful to get this passed this year. Cancer Can’t raised enough money to update 16 oncology rooms at Sacred Heart. An average patient spends approximately four days in one of the oncology rooms, but some patients may stay upwards of 50 consecutive nights. These rooms were originally designed to treat patients by administering chemotherapy, stem cell transplants and other important medical surgeries and treatments. One significant thing these rooms were not designed for was to promote patient healing and well-being. Due to extensive research and a more recent emphasis on optimal healing environments for hospital patients, Cancer Can’t will be updating the oncology floor at Sacred Heart to promote a more healing and positive patient atmosphere. Each room will be equipped with a mini-refrigerator, a microwave, a medical grade recliner and healing nature-based artwork. These much needed updates will help foster control for patients, promote social support and provide access to more soothing and calming artwork surroundings. By the end of 2015 Cancer Can’t has finalized the design selections with the beautification committee at Sacred Heart. Purchases and updates will be taking place in 2016. Project Update, March 2016 - Cancer Can't has purchased and delivered all the refrigerators and microwaves for the rooms. Providence is working on updating the electrical system to hold the additional power draw that will be required to run these appliances. Once this update is finished, each room will be supplied with a new microwave and mini fridge. As of this week, each room should now have its own recliner sleeper that would allow patient's guests to be able to stay with the patient comfortably. Thank you to Kurshaws furniture for helping us with this awesome furniture. Craig Goodwin Photography has finished editing all of his donated photos. We signed off on the proofs and the art work is now in the printing phase. We should have them within the next 6 weeks along with all new room sponsor signs. Providence is going to work room by room to update paint and include built-ins for the microwave and fridge. This process should be underway as we speak.